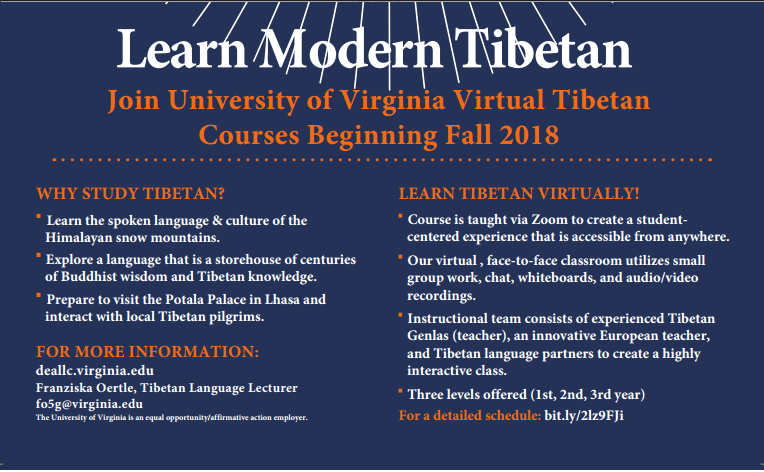 The Department of East Asian Languages, Literatures & Cultures is very pleased to announce the opening of the first Modern Tibetan Language courses using Zoom platform. Zoom is held to be the leading platform for language instruction and the successful pilot project this Spring semester proved this being the case. 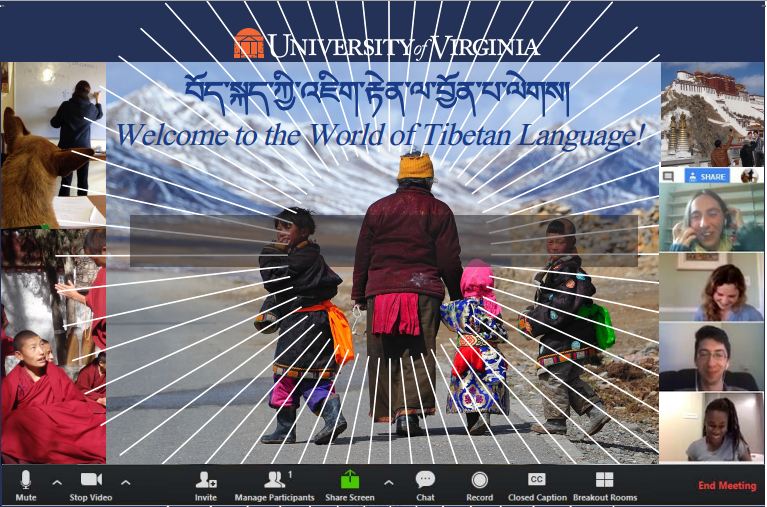 This 3-level Modern Tibetan language course is open to any students who have a computer, strong internet connection and a quiet space. Enrollment for studebts outside of UVA will take place via the School of Continuing and Professional Studies (https://www.scps.virginia.edu).